Starting and growing a successful business comes with unique problems and opportunities that demand different solutions. Most small businesses start out using basic accounting tools like QuickBooks, to manage their financials. However as the business expands and operations become more complex, as a business leader, you need information from across the organization so you can make decisions that drive growth. If any of this sounds familiar, then it's time to consider moving to an ERP solution like SAP Business One. To help with your decision, we have compiled a comparison infographic between QuickBooks and SAP Business One. We compare 10 essential features that commonly impact fast growth and profitability. Complete the form to access the infographic now. 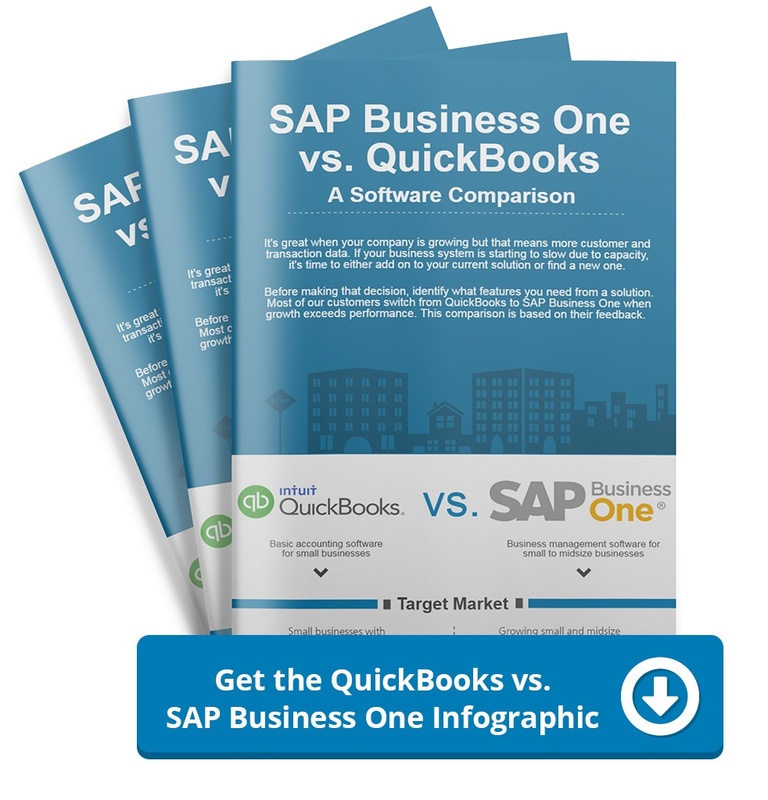 Get the QuickBooks vs. SAP Business One Infographic Now!